Paris, 1749. Southern Peru and Bolivia. London, c.1815. 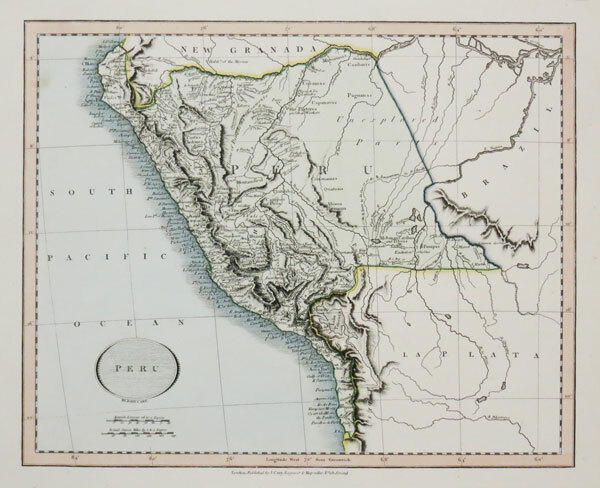 A colourful map of Peru. French, c.1840. 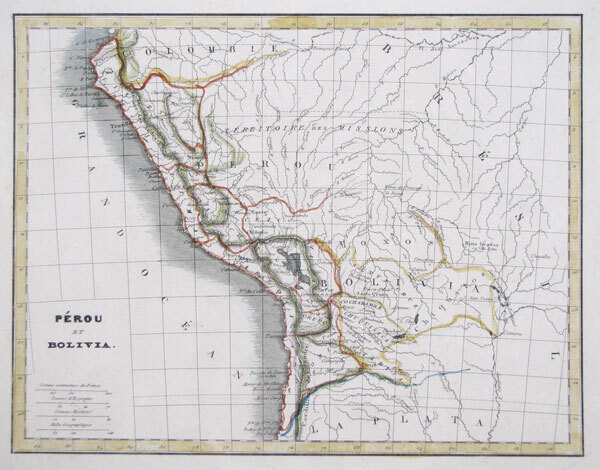 A map of the short-lived Peru-Bolivian Confederation, linking the 'Republic of South Peru' with Bolivia, 1836-39. It collapsed after an invasion by Chile. London: London Printing and Publishing Company, c.1855. 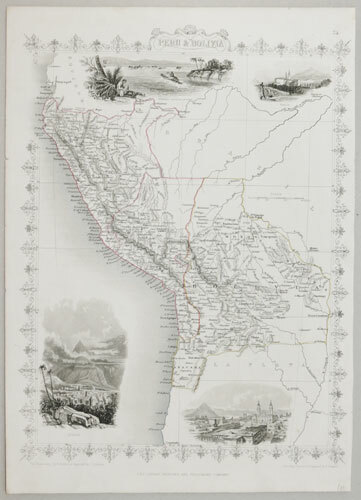 Decorative map of Peru and Bolivia, still showing the Bolivian corridor to the sea, lost during the War of the Pacific (1879-83). The decorative vignettes include views of Lima and Potosi, Bolivia's mountain of silver. Paris, c.1683. The Inca city of Cusco. London: Strahan & Cadell, 1777. View of the glaciers on South Georgia, drawn by Hodges, the offical artist on Captain Cook's second voyage around the world. Amsterdam, c.1785. 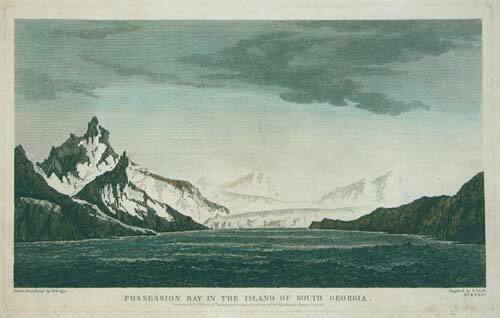 A view of Possession Bay on South Georgia, with the glaciers, drawn 1775. 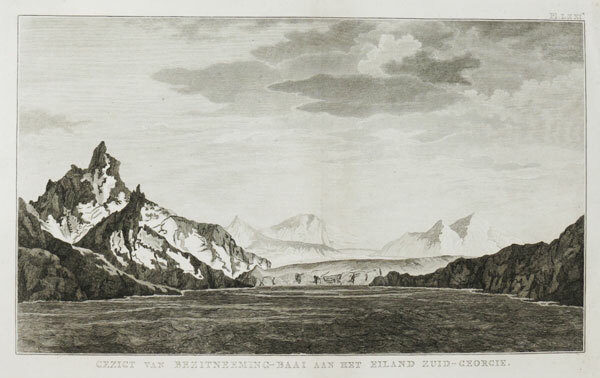 This illustration comes from a Dutch edition of the official account of Cook's Second Voyage, on which he circumnavigated the island, made the first landing, claiming the territory for Britain and naming it in honour of King George III. London: J. Johnson, 1794. 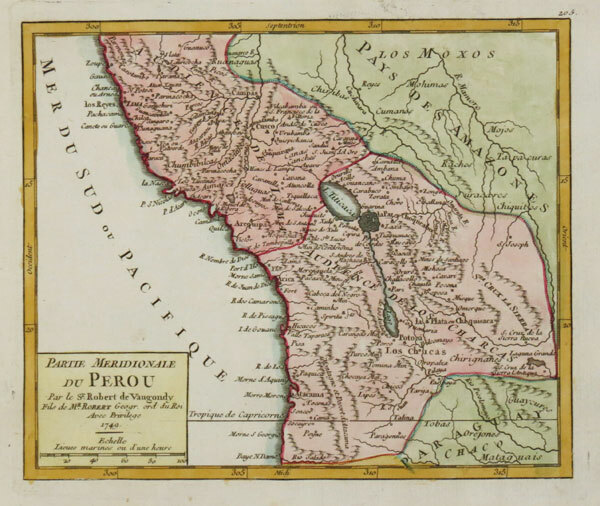 View of Paramaribo from across the Suriname River, published in Captain Steadman's '	Expedition to Surinam, being the Narrative of a Five Year Expedition Against the Revolted Negroes of Surinam in Guiana on the Wild Coast of South America from the Year 1772 to 1777 '.